Paris, 06. Juli 2013 | The annual Alliuris Summer School is the highlight for many junior lawyers in member firms. 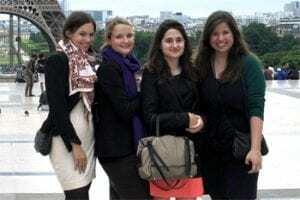 This year, the Summer School took place from 2 July to 5 July in Paris and was organised by our French partner law firm, Farthouat, Asselineau & Associés. Seven legal trainees from various European countries attended the two-day legal seminar covering several topics including updates on international anti-bribery laws, improving legal English skills, drafting of commercial contracts, commercial arbitration and financial assessment of companies. The participants had many opportunities to exchange knowledge and experiences from their own local practices through the seminars. In addition, the participants visited the office of the host firm and had the opportunity to meet many of the French colleagues. The excellent organisation of the host firm guaranteed the success of this year’s Alliuris Summer School, which was described as an “unforgettable experience” by several of the participants. The three days of intensive interaction have promoted the friendship between young lawyers within the Alliuris group, many of who remain in contact. For further details please see the Newsletter as a download below.